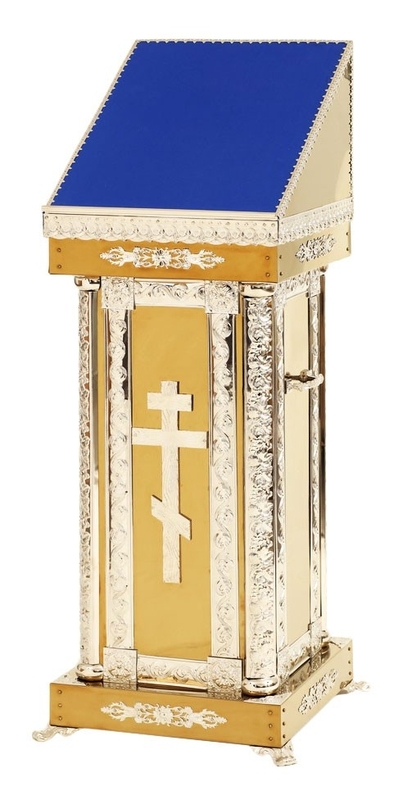 Church lectern no.24 - Istok Church Supplies Corp. Traditional Orthodox Church lectern. Brass, casting, nickel-gilding, laquering, velvet. Size: 29.5''x29.5''x57.1'' (75x75x145 cm). Size: 29.5''x29.5''x57.1'' (75x75x145 cm).